mikebai1990 wrote: For Meguiars products, I've heard that #26 (sold at Autozone) is an excellent sealant for darker colors. I'd definitely try this out before buying any of the Turtle Wax/Mother's waxes. NAPA was closed today, so I didn't find any Duragloss. But I found some Meguiars #26. I'll try it out today and I'll let you know how it works out. 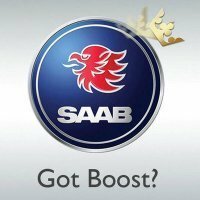 I just dont understand the problem with brake dust. I tried to get dust on my Subie's wheels. Bright gold isnt really my thing after all. If I looked at them the dust fell off. Honestly, even fog cleaned them. I never once washed them, and they stayed pristine. On the Saab I actually need to wipe, but with nothing more harsh than a gentle stream of water and my finger. i washed, polished, clayed, and waxed my car yesterday, because it was 70* outside, took me from about 3pm to 7pm, felt like i was wasting my time the whole time i was cleaning it but she looks awesome now. clay made a huge difference too, so smooth now. now i need to wash the engine bay. even tho it will get dirty again in 3 days, but just to know that its clean. i also really need to clean the inside of my rims, back behind the spokes is black from brake dust, it doesnt look good. bare aluminum is like glue to brake dust, ill need to hit it with a flapwheel to get the dust off. i was going to before i put the summers on, but got lazy and never did. Leedeth wrote: What do you guys recommend for tire shine? I use the Black Magic Titanium Tire Wet Gel. Stuff works excellent Gotta use the foam sponge though... spray cans are worthless. The Armor All tire foam is good, too, since it also cleans the tire. oh, and does insect remover (the stuff you spray on it before you wash the car) remove the wax, too? I would avoid the tire "sprays" just because they tend to get everywhere and do not absorb into the tire as well as a gel product. If you just spray it on and don't let the car sit for awhile you run the risk of the excess spray being thrown off the tire and it ends up along the doors and bumper covers. Also you overspray and get it on the wheels if you are not using some sort of cover. 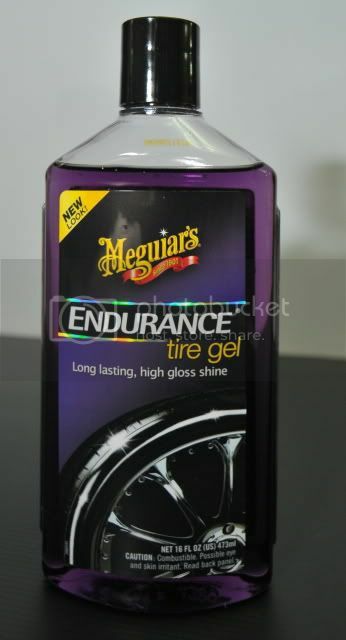 Best thing I have ever used is the gel from Meguiar's, see picture below. It comes with two curve pads that allow you to apply the gel to the pad and wipe onto the tire. Not only is it cleaner, but it takes less product to cover the tire and it lasts literally weeks. I can go through a few rainstorms and still have shiny tires.